Moist lemon curd coffee cake with a crumb coating and sweet lemon glaze. 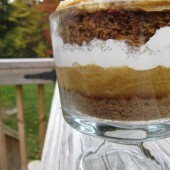 A fun addition to breakfast, brunch or dessert! Buying all of your appliances at the same time definitely has it’s downsides… like when they all start to have issues or need to be replaced. First the fridge. So glad it died during the winter vs the hot summer months! And now the washing machine. Oh the sounds it’s making. It really sounds like it’s dying every time we do a load of laundry. It’s painful, but it’s still kicking. The upside to it dying now is that everyone is having sales. Yay! Something finally went wrong when we could buy something new for a good price! Who knew there were so many washing machine options these days?! They should all be simple. It’s a simple machine. Only, apparently they’re not so simple. It’s also just my luck that a set of my kids winter gloves and boots would be ruined this weekend. New items purchased for this winter season that didn’t even manage to make it through the entire season. The issue with this, living in New England, is that we still have at least another month or more of potential winter storms and stores have already moved on to summer clothes. Super frustrating. Thankfully the gloves we can make work for now. The boots, not so much. At least luck was on my side, or my wallet’s side, this weekend. I found a great deal on boots, so I bought pairs for both of my girls that should work well for the rest of this season and (fingers crossed) hopefully next winter as well. Pretty much since the start of the year, I’ve been craving spring flavors. I know lemon is technically a winter fruit, but I associate it more with spring. This has a lot to do with the fact that we typically see a lot of lemon goodies around Easter and into April and May… spring months. I’m a huge fan of breakfast food. You can enjoy them any time of the day, for a meal or for dessert. This coffee cake is no exception! Moist flavor packed lemon curd coffee cake with a crumb coating and sweet lemon glaze. 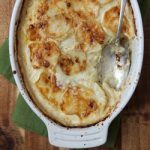 A perfect addition to every breakfast, brunch or dessert menu! Preheat oven to 350°F. Line an 8-inch square baking pan with parchment paper, leaving overhang on all four sides. Parchment paper may be held in place with binder clips, if necessary. Set aside. In a medium bowl, combine dry crumb ingredients. Mix in melted butter. 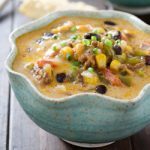 Use a fork to toss and combine ingredients until only small chunks remain. Set aside. In a large bowl or stand mixer, beat together butter and sugar until light and fluffy. Mix in one egg at a time, followed by vanilla. Mix in lemon curd and optional zest, followed by salt, baking powder and baking soda. 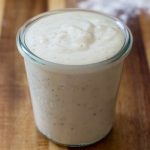 Alternate additions of flour and sour cream, mixing until just combined. Transfer batter to prepared baking pan. Use a small offset spatula to carefully spread out into an even layer. Generously sprinkle with crumb coating. Bake for 40-50 minutes or until a toothpick inserted comes out clean. Cool completely on a wire rack. When room temperature, carefully remove cake by pulling up and outwards on parchment paper. Transfer to a serving tray or platter. In a small bowl, whisk together powdered sugar and lemon juice until smooth. Drizzle icing over cooled cake. Slice and serve immediately. Store remaining cake in an airtight container for up to several days. heads up your instructions did not include when to put crumb topping on. I assume it is before baking. 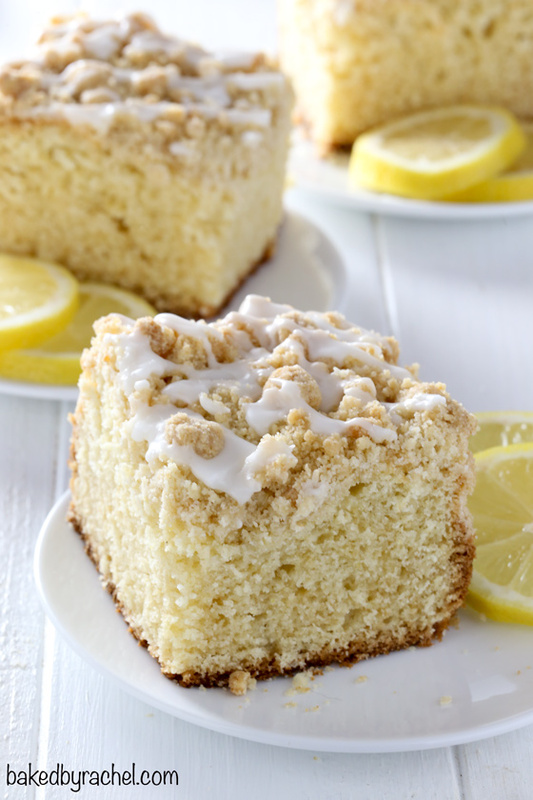 This lemon crumb coffee cake looks so delicious! 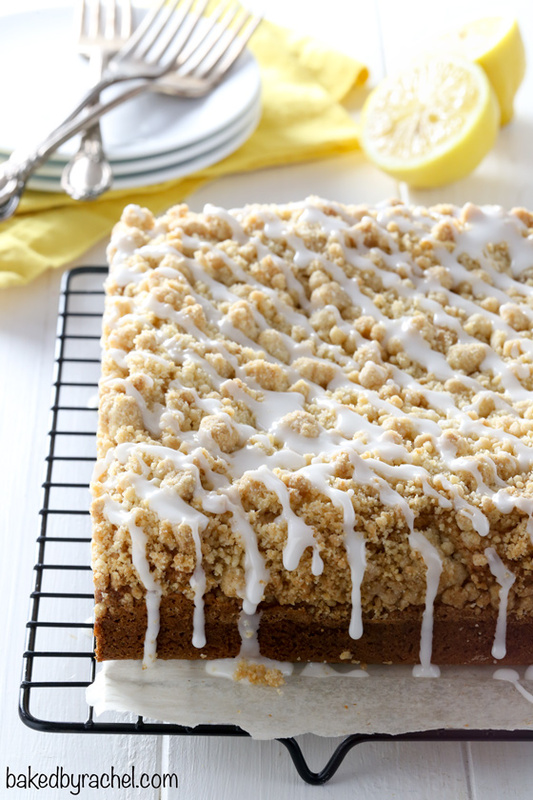 From the lemon curd, the crumb topping, and that drizzle of lemon glaze….there’s so much to love here! 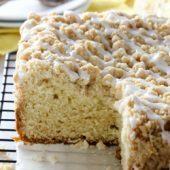 This coffee cake is an absolute must for spring! 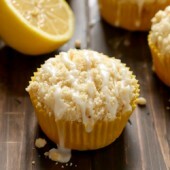 I love lemon baked goods especially when they have a crumb topping! 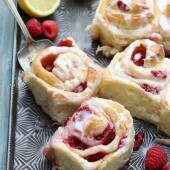 this sounds so deliciously lemony! 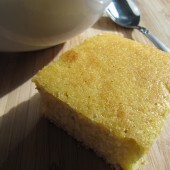 never thought to add lemon curd into the cake batter, but it sounds like it’d be super flavorful and tender. 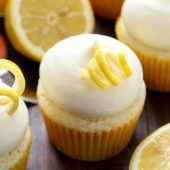 I love lemon baked goods this time of year! 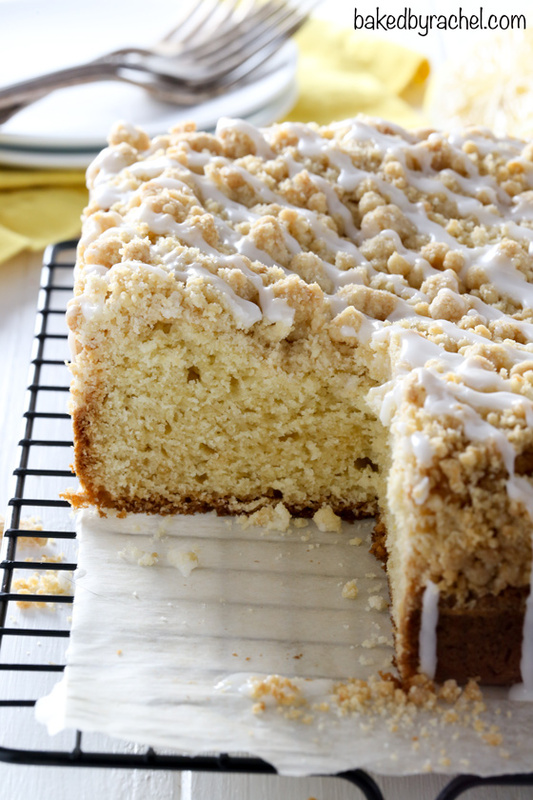 I’d love to start my morning with a big slice of this coffee cake and a mug of coffee! That cake looks fabulous, and your photos are beautiful! I’d love a slice right now! This looks really good.. 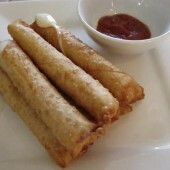 I can’t wait to make it.. This is looking so tasty. 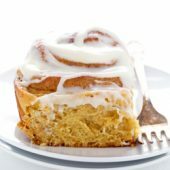 I am feeling its yum in my mouth after imagine how it will be. I will try this in weekend and give surprise in my family. I am DROOLING over this dish. These look too good to be true….